October 12, 1928: “The Gumm Sisters” performed with “The Meglin Kiddies” at the Community Center in Montebello, California. October 12, 1930: “The Gumm Sisters” performed at an Antelope Valley Band Concert, part of “Pioneer Day” in San Bernadino, California. 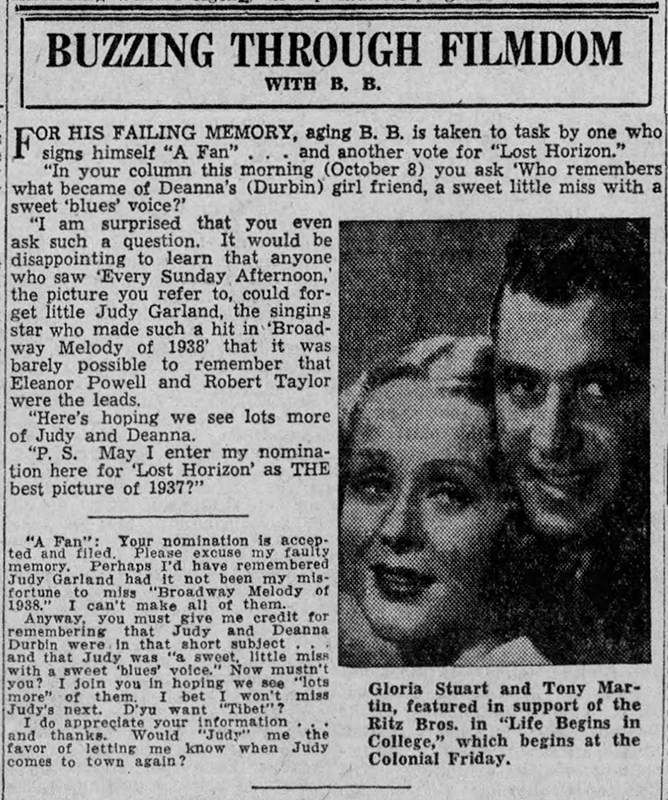 Also shown above is a fun note from columnist “B.B.” who was chided for not remembering Judy’s name. 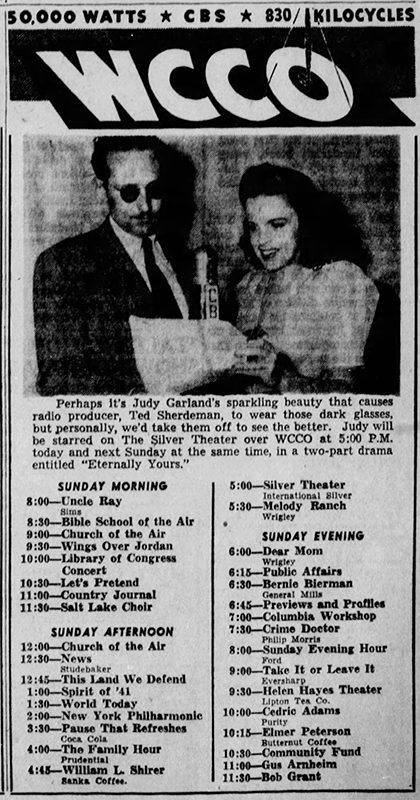 October 12, 1941: Judy appeared on the CBS Radio’s “Silver Theater” 30-minute adaptation of “Eternally Yours.” This was Part 1. 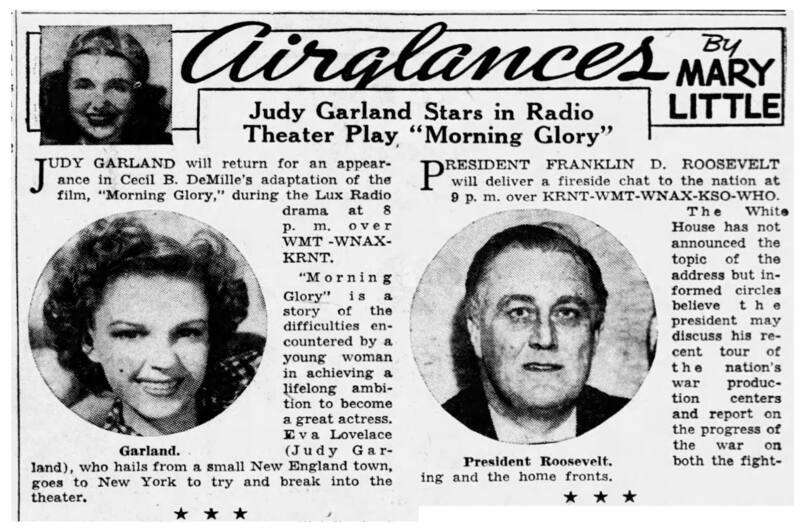 Photos: Two ads, plus a photo of Judy with producer Ted Sherdeman, and co-star Conrad Nagel. Those photos are provided by Kim Lundgreen. Thanks, Kim! 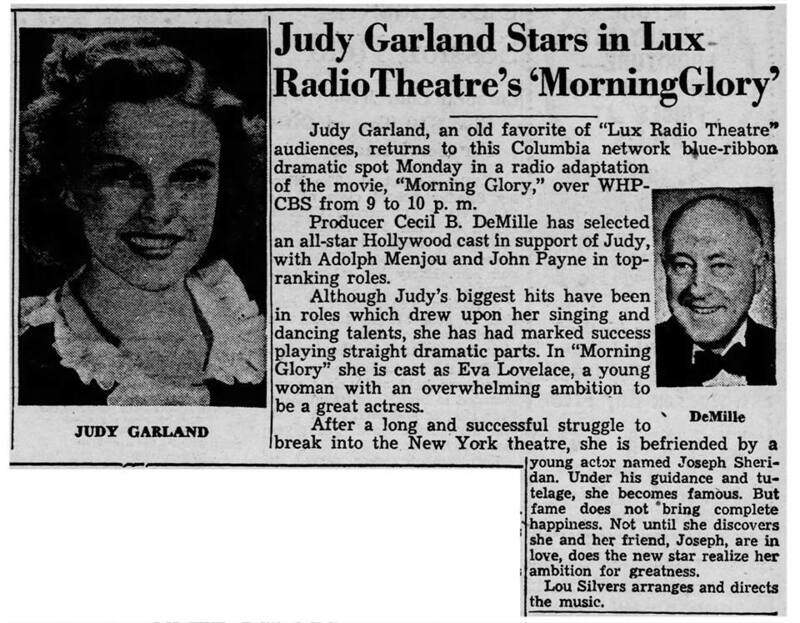 October 12, 1942: Judy starred in the radio version of “Morning Glory” on the CBS Radio show “Lux Radio Theater.” Although she sang “I’ll Remember April” the show was heavily promoted as a change of pace for Judy in which she’s able to show her dramatic skills. 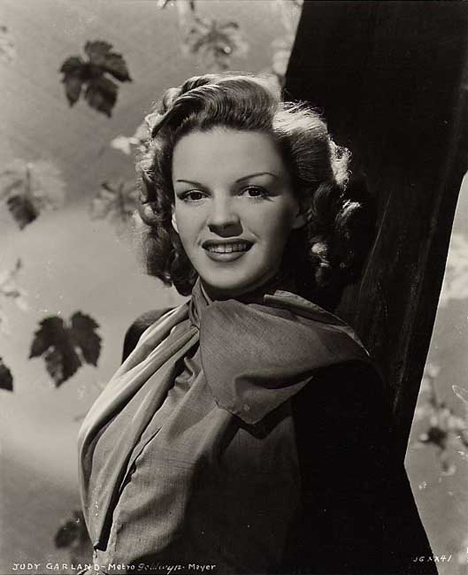 October 12, 1944: Judy was on standby for The Clock filming but was not called and did not work. 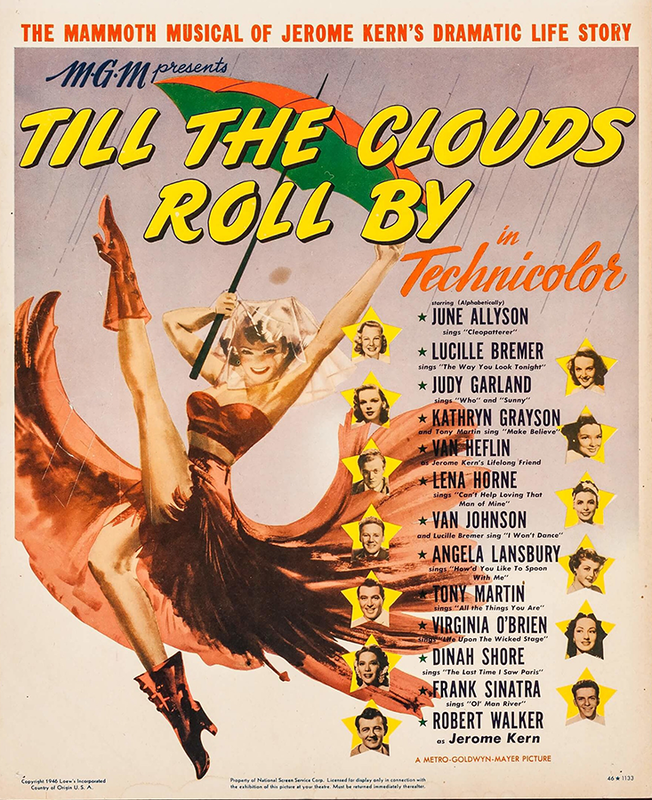 October 12, 1945: Filming continued on Till The Clouds Roll By, with scenes shot on the “Interior Corridor and Stage” set. 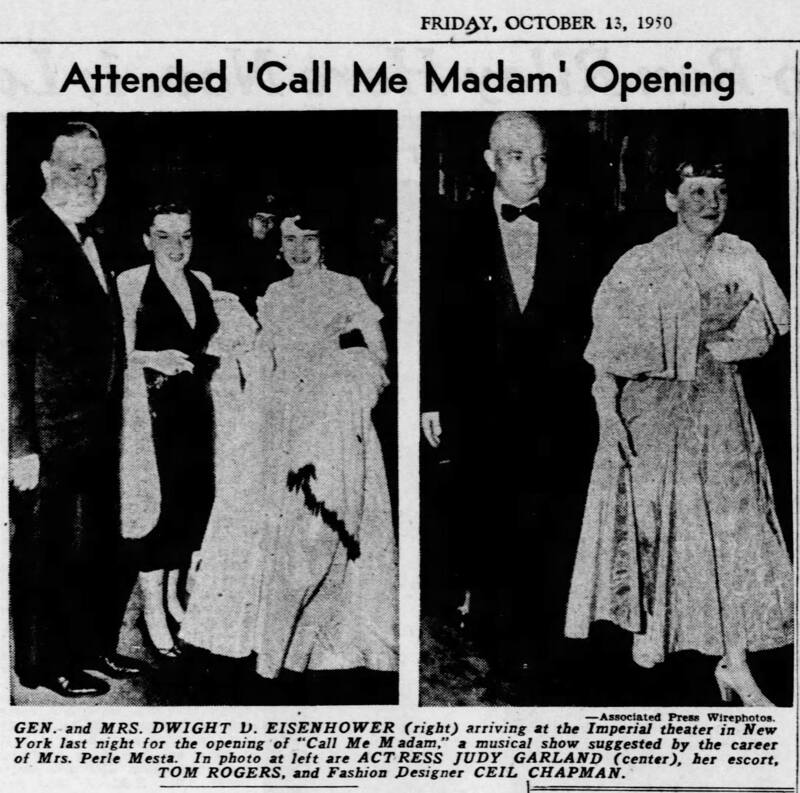 Time called: 10:00 a.m.; Judy arrived at 10:12 a.m.; dismissed: 2:00 p.m.
October 12, 1950: Judy attended the opening of Ethel Merman’s “Call Me Madam” in New York. 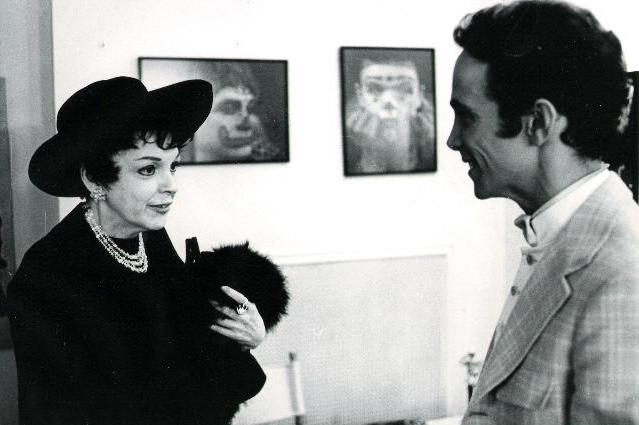 This photo of Judy at the opening was circulated the next day. 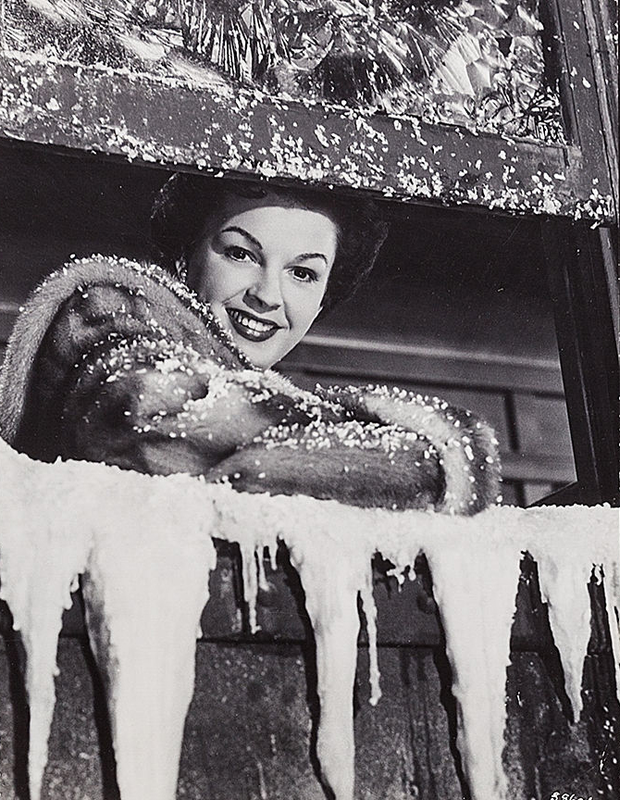 Judy was in New York on a much-needed vacation after having been released from her MGM contract the previous month. That release was, of course, big news for weeks. 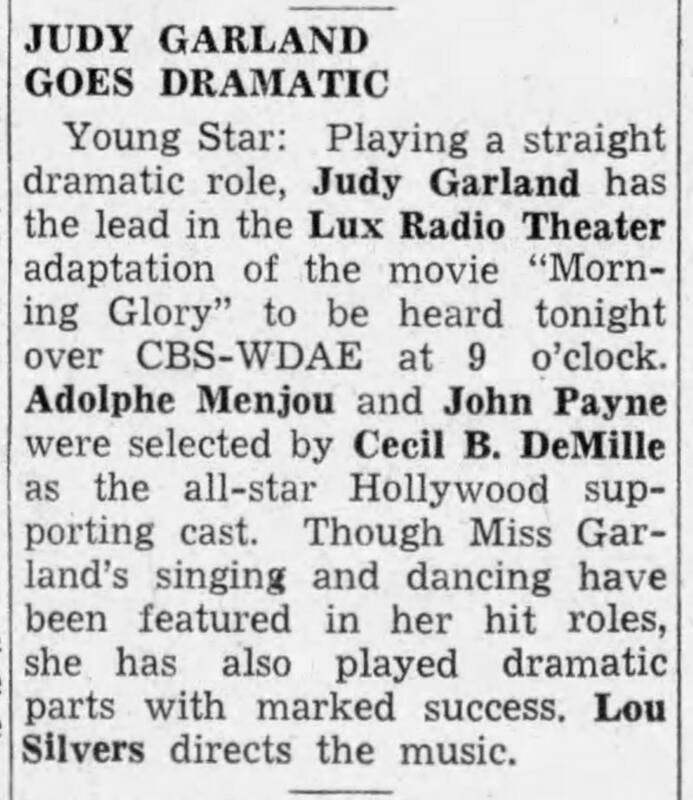 Meanwhile, Judy’s last film for MGM, Summer Stock, was playing in theaters around the country to great reviews and even greater business. 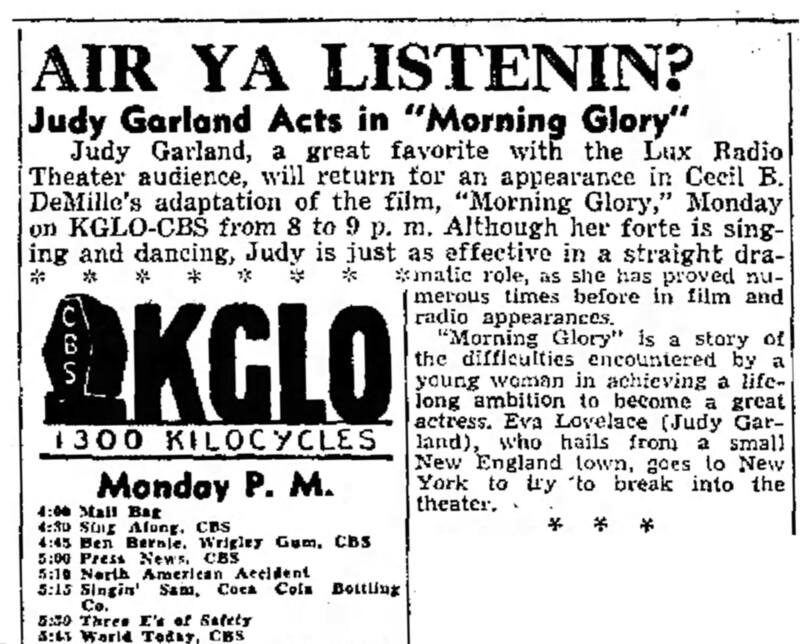 Also shown here is Jimmy Fidler’s latest column which gave his opinions on Judy’s recent departure from MGM. 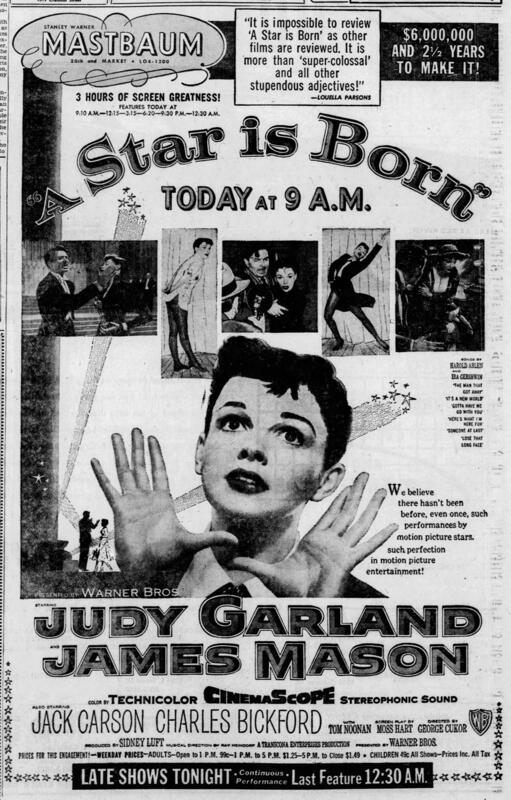 October 12, 1953: Columbus Day and the first day of filming on A Star Is Born at the Warner Bros. studios in Burbank, California. Judy arrived at 7:30 a.m. to have her hair and makeup done; she reported to the set at 10:10 a.m. The first scene to be shot was Judy’s character’s (Esther Blodgett/Vicki Lester) first day on the soundstage where she interrupts a take on a train set by allowing her face to enter the frame. The scene was rehearsed until 11:20 a.m. and shot at 11:25 a.m. Five takes were needed as things kept happening during the first four. The final take lasted forty-four seconds. A minute and forty-nine seconds of film had been shot using nine separate camera setups, which covered one and a half pages of the script; approximately $25,000 had been spent. The entire scene was completed by 5:20 p.m., and the company was dismissed. 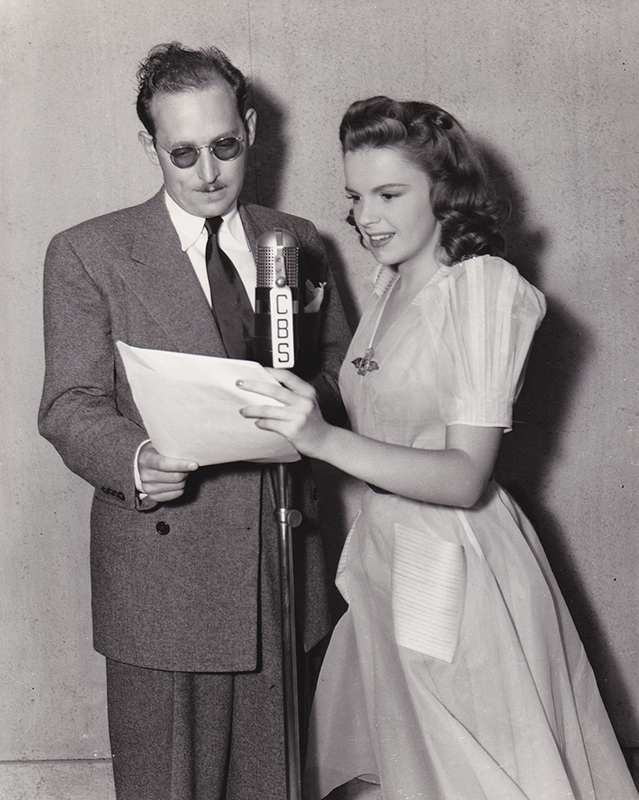 Last September, while Judy Garland was rehearsing for her first television appearance, the director, Paul Harrison, called all technicians into a huddle. He told them about Judy. Despite this pep talk, rehearsals for the show were not smooth. Judy came late, keeping three color camera crews idle at $1200 an hour; it took six hours to film two 20-second promotion teasers for the show which normally should have been done in 15 minutes. On the day of dress rehearsals Judy was 45 minutes late. But the 90-minute Ford Stat Jubilee for CBS-TV had the largest audience ever to watch a spectacular. For CBS themes justified the end. The story is not without parallel in Judy’s life. Ever since she was a child people have put up with her most remarkable behavior because they believe that talent is a law unto itself. As long as Judy Garland continues as a great attraction she’ll be judged by a unique set of rules. She completed a five-week run at the New Frontier Hotel in Las Vegas, where she made her night club debut. She was paid $35,000 a week and the hotel said an additional $20,000 a week for the orchestra and other acts. The previous high for an entire show has been $55,000 for Liberace. 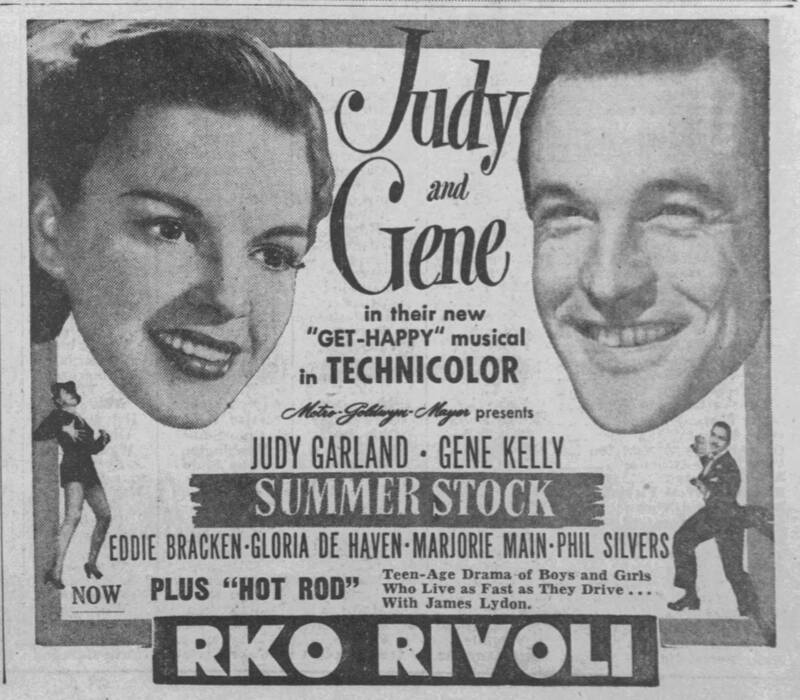 Even with the high cost of production and the fact that Judy missed a few shows the hotel made money, a remarkable accomplishment in a town where big game shows are only used as a lure, Judy brought in enough crowds to make a “drop” – money crossing the gambling tables – large enough to give them their nightly operating margin of $10,000. The hotel proprietors were distressed when she missed a show and irritated at some of her demands. However, they made money and money talks. I asked Judy why she wanted to go to Las Vegas. Her answer was simple. “I have to get money to pay off my back taxes,” she said. 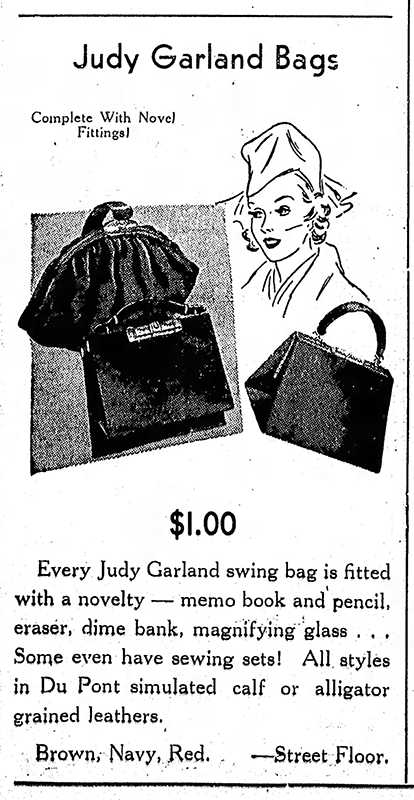 Judy Garland is almost broke. Although the Lufts live in a big home it is unfurnished; she has a remarkably small wardrobe; they have no money in the bank. This means that Judy must work. The one thing certain in her future is work. She opened at New York’s Palace Sept. 28. After an eight or ten week run there she will go to England to play the Palladium. While there Judy and her husband, Sid Luft, plans to produce a movie, “Born in Wedlock” based on the novel by Margaret Echard. Sometime early next year she will do another ninety minute spectacular for CBS. Her contract calls for one a year over the next five years. 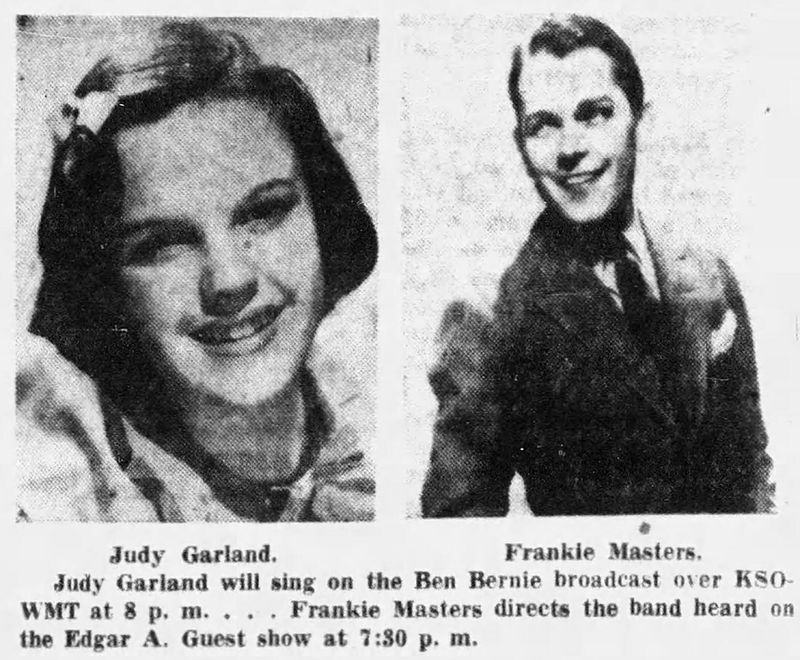 It would appear that Judy Garland has a busy future. It should be noted that all of her plans are just that – her plans. 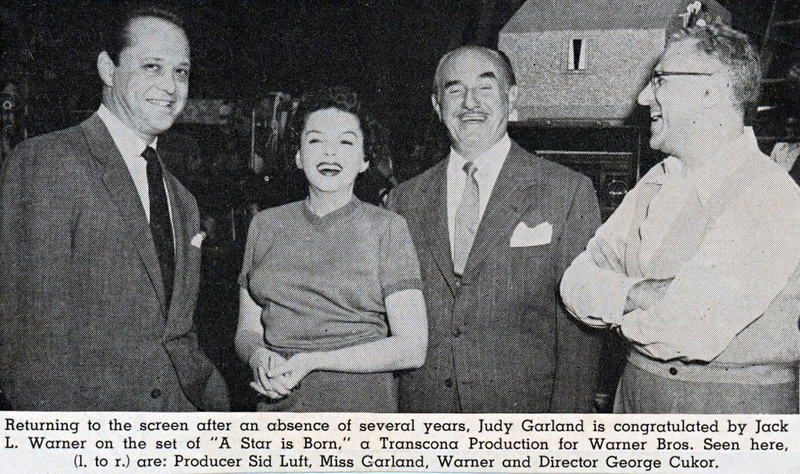 Hollywood has little use for Judy, although any producer would give his eye teeth to have her in a picture if she could be counted on to behave. Even without that guarantee there are still some producers willing to take a chance on her. 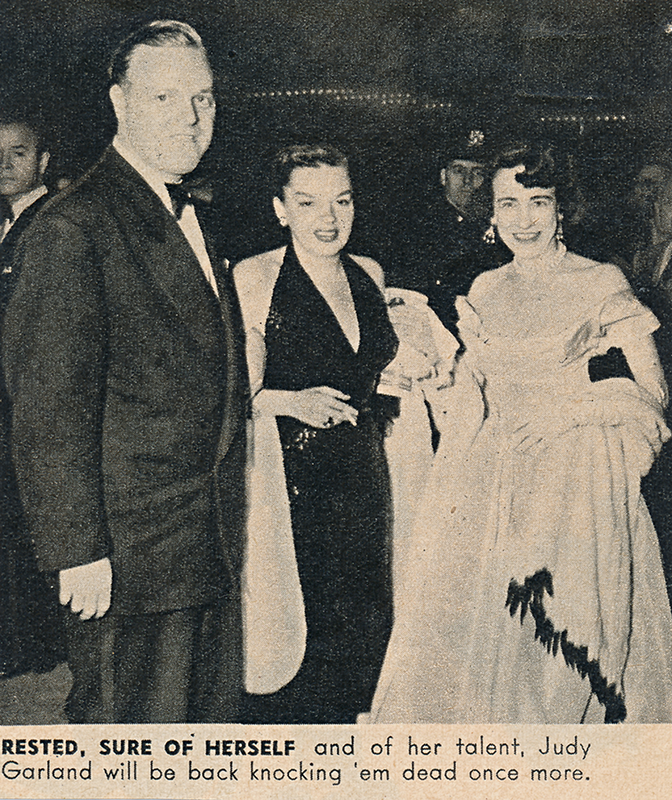 Nunnally Johnson, producer-director of some of Hollywood’s biggest hits, including “Gentlemen Prefer Blondes” was asked if he would use her in a picture. He said he had just offered her a part in “Three Faces of Eve.” “Some of my friends said I should have been committed to an institution,” he admitted. “But she’s a great talent and it wasn’t an expensive picture so there was some room for shenanigans. 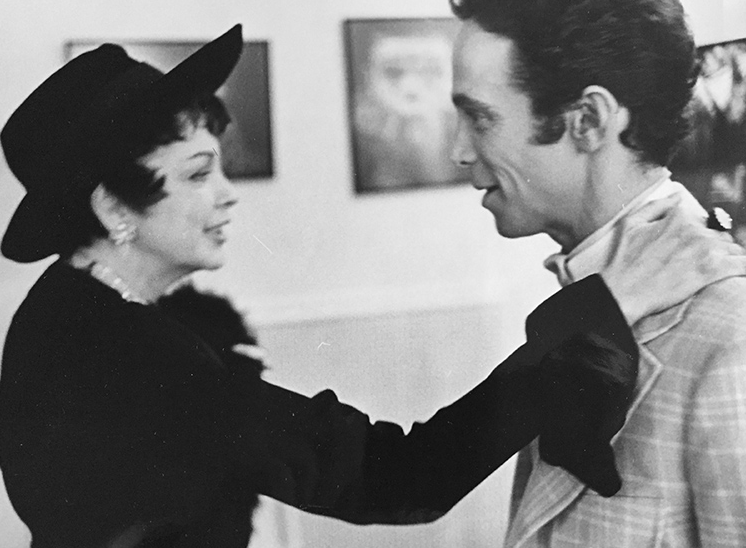 If it had been a three-and-a-half million dollar musical and I offered the part to Judy I would have really been crazy. “But I was unable to fight the cobwebs that surround her so the whole thing collapsed. Getting to Judy was a little like trying to get through the Cleveland Browns’ line, I don’t think I’ll ever go through that again? Mr. Johnson didn’t want to identify the “cobwebs” that hindered his reading Judy. 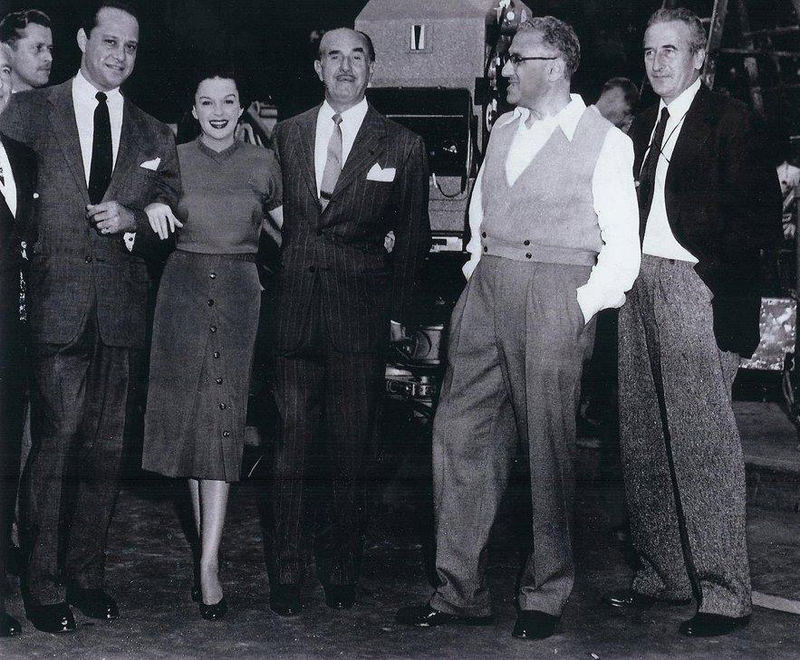 Sid Luft admitted that the producer had a hard time getting an interview to discuss the picture. 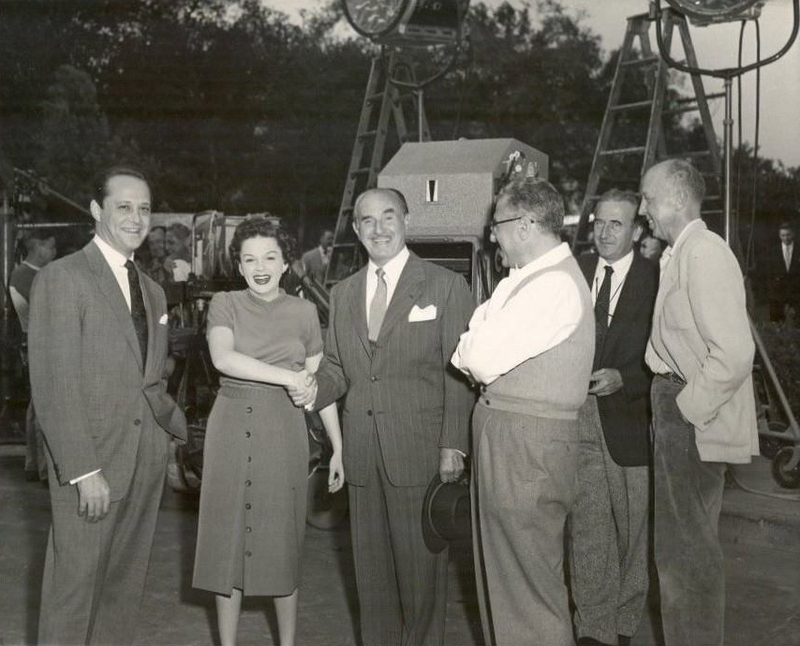 Mr. Johnson spoke for half a dozen other producers who would like Judy to work for them but can’t take a cane on having her temperament boost budgets. 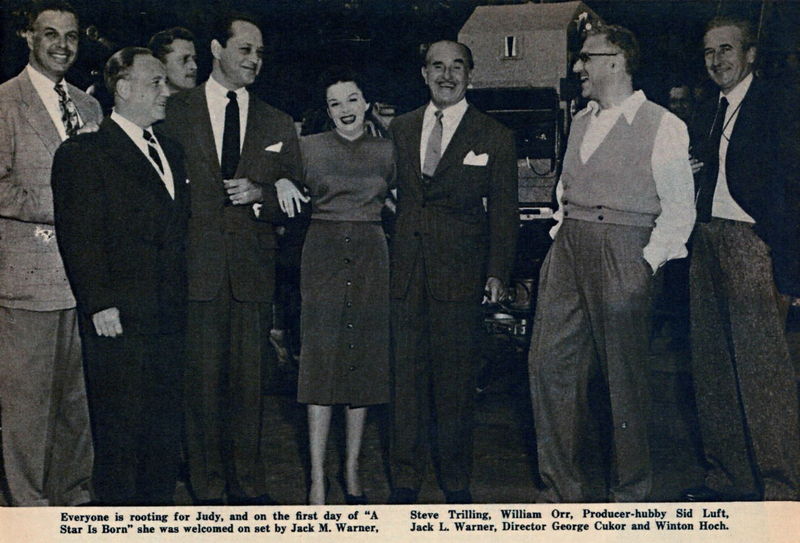 But for each producer in that camp there’s one like Jerry Wald who said he is now in the process of working with Clifford Odets on a picture for Judy. “She’s one of those rare talents that comes along once in a producer’s life,” he said. “I’m not afraid of her. 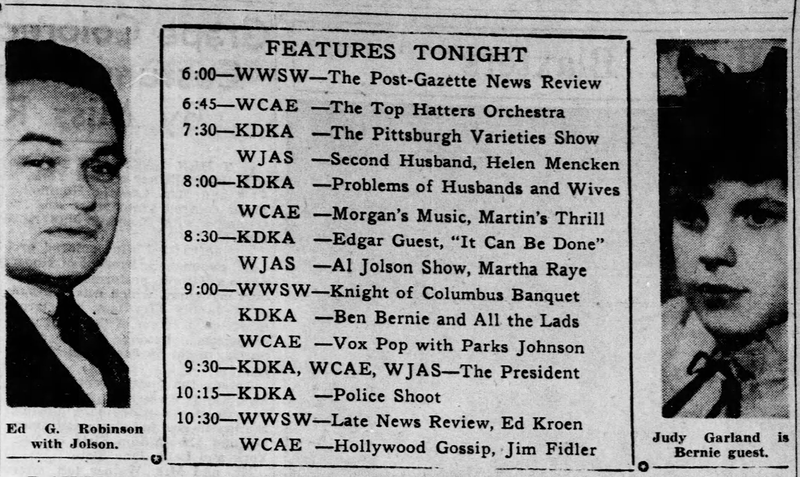 There are lots of personalities who come into the studio at 8 a.m., work twelve hours a day and nobody goes to see them. She’s one of the greats, like Jolson, Crosby, or Kaye. 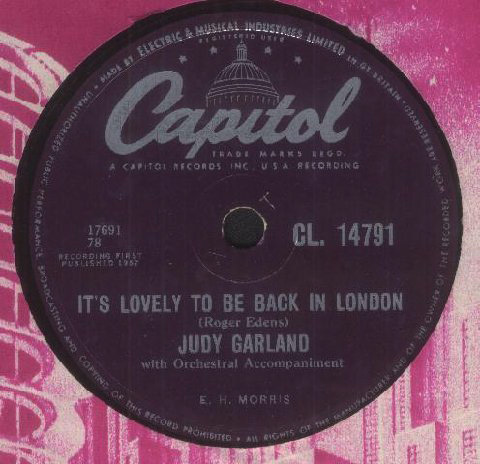 October 12, 1957: While in London, Judy recorded “It’s So Lovely To Be Back Again In London” for Capitol-EMI Records. The song was written for her by Roger Edens and distributed as a single to her opening night audience at the Dominion Theatre on October 16th. 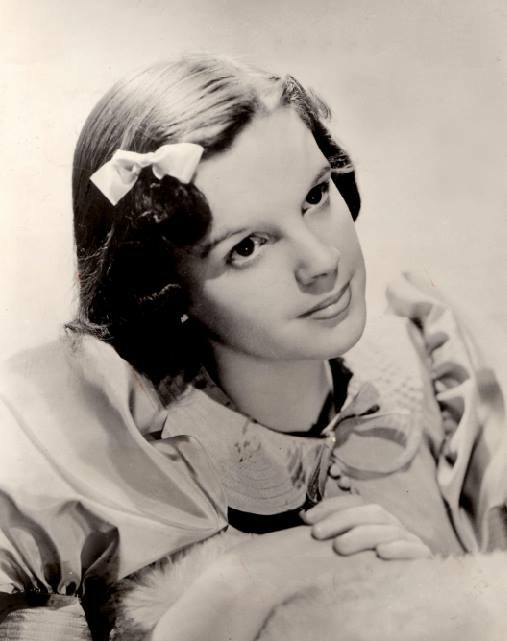 Check out The Judy Garland Online Discography’s “Dominion” pages here. 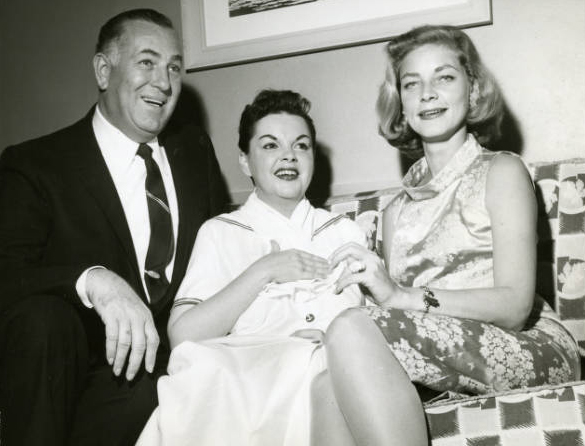 October 12, 1958: Lauren Bacall visited Judy backstage after her show at The Sands, Las Vegas. With them is photographer Jack Entratter. 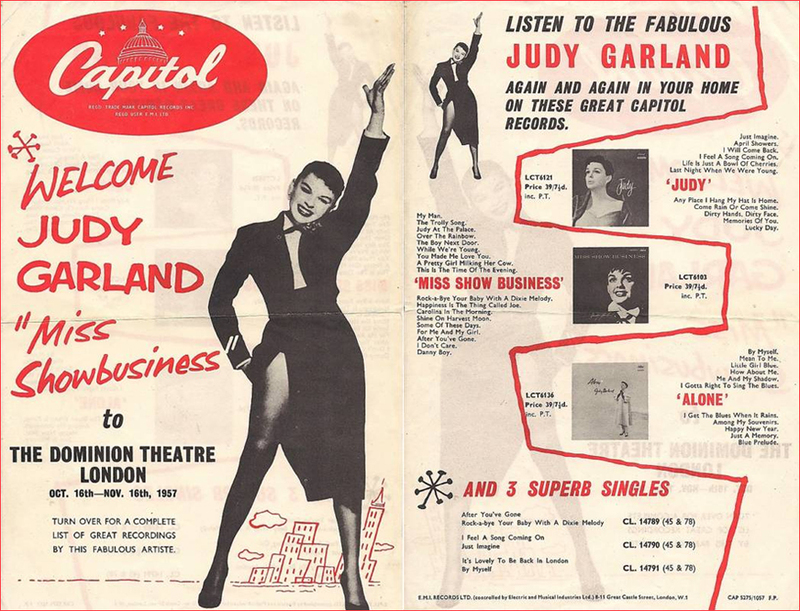 Judy opened at the Sands on October 1st, her final show was October 14. 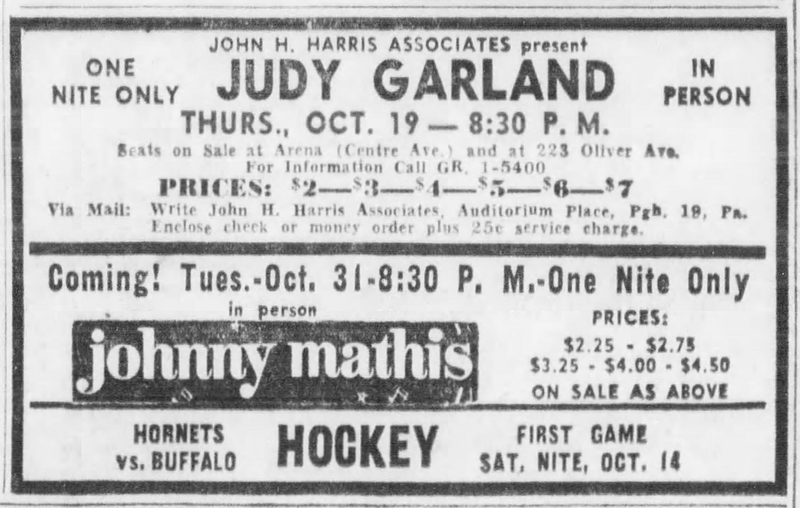 October 12, 1961: Here’s an ad for Judy’s upcoming concert at the Civic Auditorium in Pittsburgh, Pennsylvania, on October 19, 1961. The top ticket price was $7. 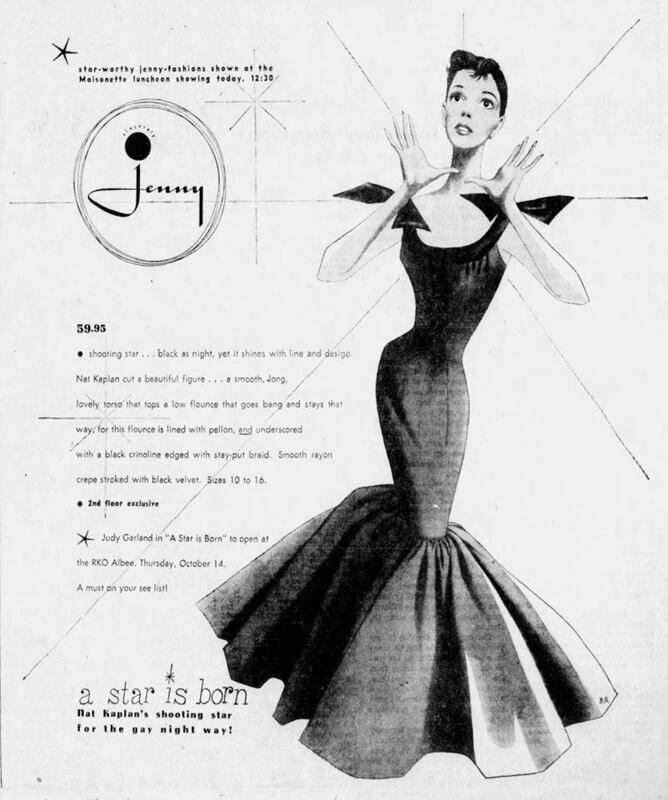 October 12, 1962: Here’s an ad for Judy’s upcoming concert at Chicago’s McCormick Place. The top ticket price was $10. At some point between this date and the date of the concert (November 7th), the venue was changed to the Arie Crown Theatre. 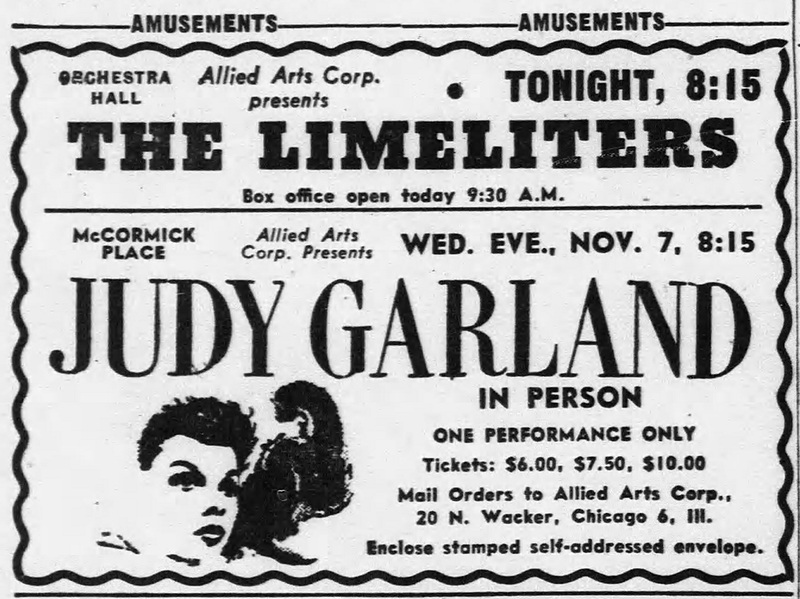 It was also Judy’s only real concert in 1962. Her shows at The Sahara Hotel in Las Vegas (September 18 through October 29) were hour-long nightclub shows rather than her two-act concert. 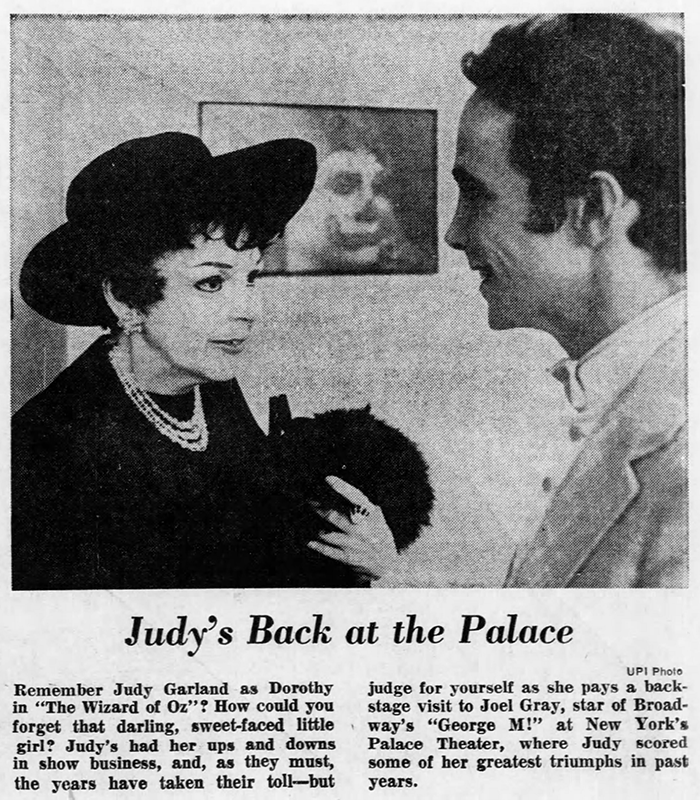 October 12, 1968: Judy’s recent return to the Palace Theater in New York, this time to see Joel Grey in the show “George M!”, made the papers. 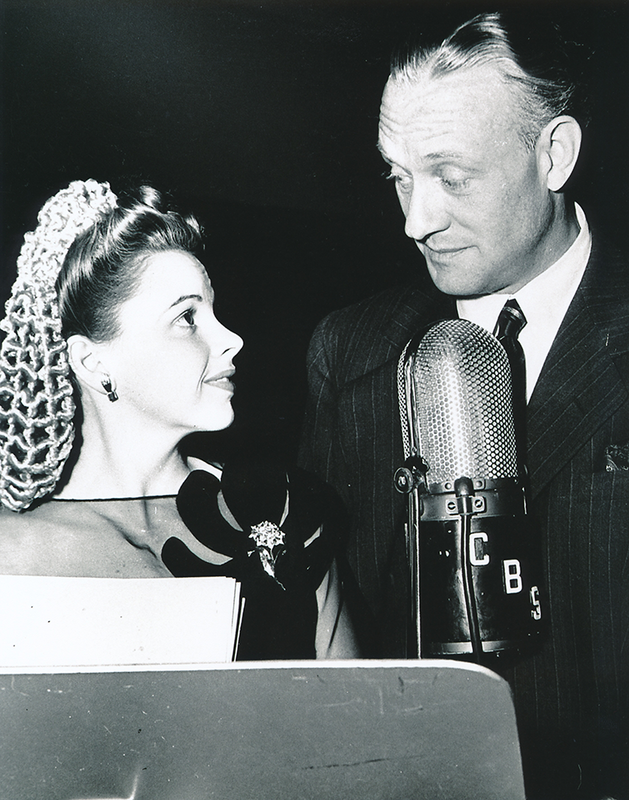 We do have Judy singing the song ‘Jim’ and about 2 or 3 minutes of dialogue from the radio play ‘Eternally Yours’. Don’t know though if ‘Jim’ is from October 12 or October 19 though. Hopefully the entire broadcasts will surface some day.